We’ve kept in our favorite experiences but have also updated and improved a few details in each itinerary. We are committed to providing the best tours possible which is why we take our guest’s feedback very seriously and continuously address our itineraries accordingly. 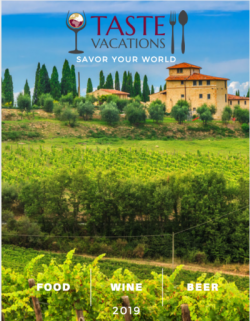 Want a 2019 Taste Vacations tour catalog sent to your home? Sign up here. Savor Your World in 2019!